Ep.2: "Can You Reverse the Curse? (Pt. 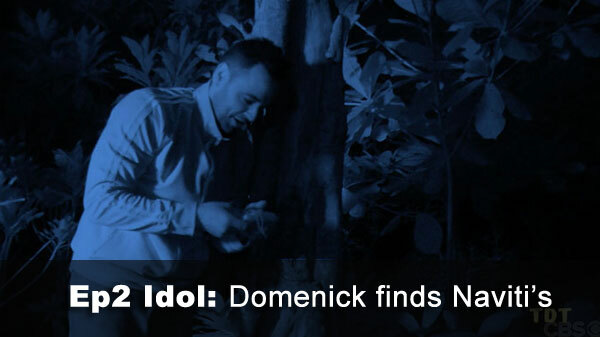 2)"
Ep.2 idol: Domenick finds Naviti's in the middle of Night 3. It's Andrea's from Caramoan. Ep.2 advantage: Morgan finally receives the Legacy Advantage, willed to her by Jacob. 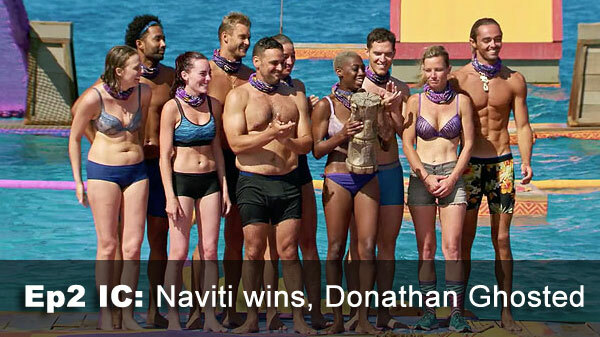 Immunity challenge: "Coming Up for Air" - Naviti wins again, in a blowout. 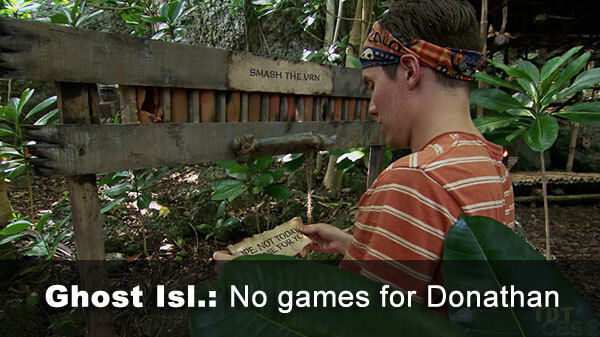 Ep.2 Ghost Island attendee: Donathan, rewarded for his diving prowess. And not rewarded at all at Ghost Island. 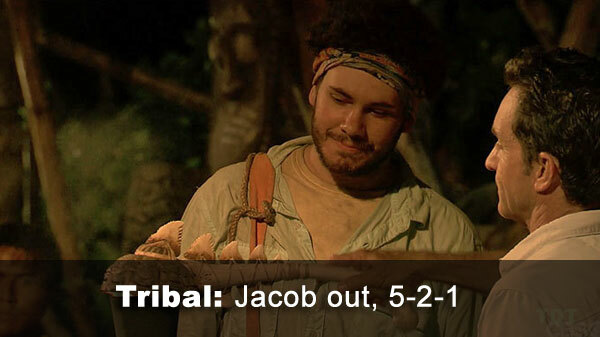 Ep.2 voted out: Jacob, 5-2-1 over James and Michael, respectively. Notes: Angela, otherwise completely unseen in the first two episodes, sat out of this episode's sole challenge. - Jacob received 5 votes, from Brendan, James, Jenna, Laurel, and Stephanie (voted out, 5-2-1). - James received 2 votes, from Libby and Michael. - Michael received 1 vote, from Jacob.